I first picked up diabolo at Silver Creek High under the teachings of Matt Hall in end of 2003. I remember most of my high school days were spent in Hall Sensei's classroom practicing diabolo at break, lunch, and before cross country. Me and the other Silver Creek Jugglers would perform in school events, and every so often go to juggling festivals together. We'd also make videos together and post them on youtube and other forums like rec.juggling and diabolo.ca. These videos would often feature Matt Hall, Daniel Acosta, Matt Brown, David Pham, myself, and a few others. Upon graduating high school in summer of 2008 I thought it'd be a good idea to try and juggle professionally. I came up with the business name Go Draco and stage name Draco the Juggler, with goals of doing birthday parties, corporate gigs, and other events. I did very much enjoy going out and performing even though I was very shy at the time. Going into college, I continued doing gigs and parties within the 100 mile radius of San Jose. I'd drive my 74 VW Beetle to my events, which I decorated with business logos and put the words The Juggle Bug on the hood. 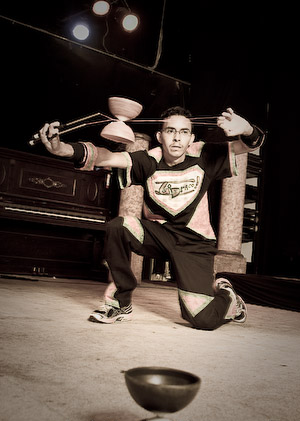 During the first few years of my business I also focused on teaching workshops and performing at juggling festivals throughout California, where I'd get tips about professional juggling from friends at the events. These fests inspired me to start and host my own Santa Cruz Juggling Festival through UCSC's Rec Department and UCSC Juggling Club in 2009. My focus on gigs and parties at the time started slowing down as I focused more on college and running the UCSC juggling club with JC Sue. College is time where I picked up fire spinning. I went to my first FireDrums in 2010, and would spin at the Cowell Beach Lighthouse with Fire University SC. I was lent fire diabolos by Stu Branoff to add to my fire practice. I was able to modify the fire diabolos to even use sparklers and smoke bombs for a cool effect. Around this time I also picked up rope dart, initially being introduced by Cosmo Hom at the first SC Juggle Fest. The first summer of college was an interesting one. 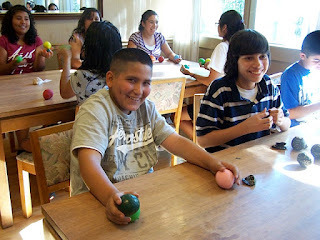 It was the first time I was asked to teach a summer group juggling, of which I was very excited. 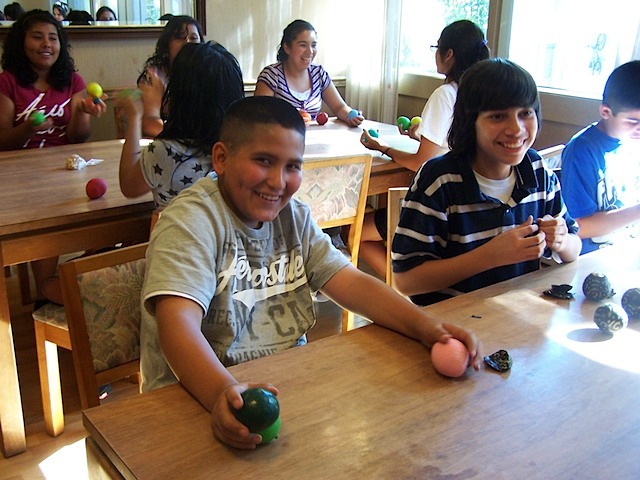 I drove up to Berkeley once a week to teach a group of around 30 students the basics to toss juggling and diabolo. This gig had a connection the year after to me teaching juggling classes and game design through ATDP Berkeley at the UC. I began selling my own diabolos around this time, after inquiries about where to buy them at multiple gigs. As I became more occupied with college my business shifted less from parties and more towards teaching. I re-branded my business name to The Spin Force at the start of 2012, and started teaching classes through Santa Cruz Parks and Recs for both game design and juggling. Each session consisted of 6 classes where students would learn the basics. These classes went on until the end of college in 2012. Upon graduating from UC Santa Cruz my juggling career slowed down. I went to less festivals, and did less gigs. I was focused on getting a job as a game developer, and 2012 was the last year I taught at ATDP Berkeley. In October I landed a job as a game developer for a small startup in Palo Alto. For the next few years this took most of my time and the only juggling related things I'd do was go to a few festivals, practice in my free time, and do a few performances like The Flow Show, BACA fest show, etc. I did still keep my business and websites registered through this time, but mostly stopped advertising as I had little time. Although I haven't pushed my business the past few years, I am hoping to get back into it again. It is nearing the end of June 2015; I will be 25 in a few days. I still work in the gaming industry, and am using time outside work hours to once again run The Spin Force.